Hi-Tech Motor Sports & Marine in Billings, has been serving the Montana Powersports and Ranching Communities for 21 years. 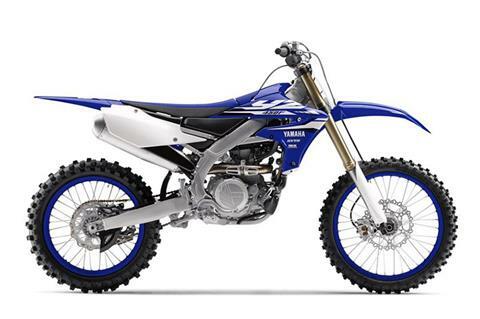 We offer a variety of Powersports brands from Yamaha, Suzuki, KTM, Arctic Cat, Kymco and Larson . 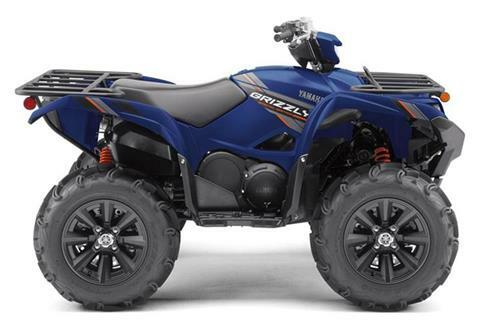 Motorcycles includingCruisers, Dual Sport, Dirt Bikes, Touring compliment our line of Sport and Utility ATVs for Adult and Youth, for WorkingRanchers to Recreational users and Racers. Our Parts and Service depts are dedicated to ensuring your machine is working at it's best and we carry a full line of Helmets, Apparel and Accessories for you and your vehicle! If we don't have it, we know where to get it! 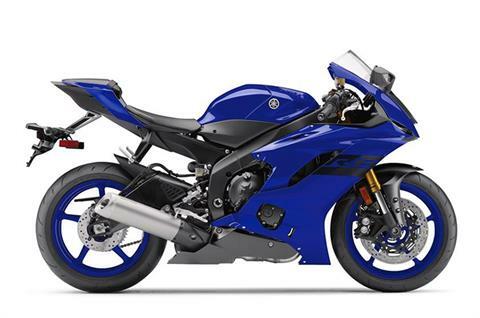 Spring has brought some incredible finance deals from our OEMs. 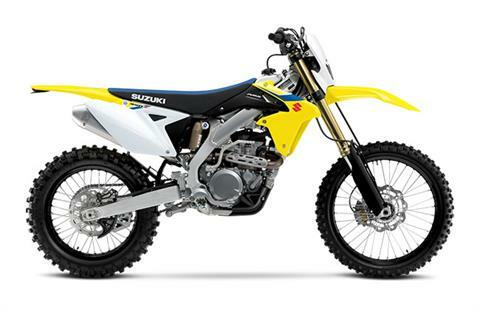 Suzuki has outdone itself and is offering 1.99% with zero down fixed for 60 months or 20% down and Zero % fixed for 60 Months. Lock yours in with a deposit now! Delivery is due for late fall, early winter. Inspired by the unforgiving terrain of the Baja 1000, engineered to attack the gnarliest obstacles with precision and control, and crafted in America by a company dedicated to performance and quality, the all-new Arctic Cat Wildcat V-Twin 1000H.O. 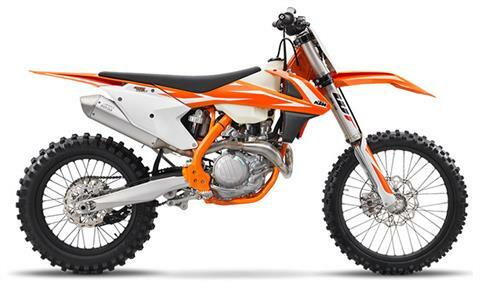 debuts as the most potent pure-sport recreational off-road vehicle (ROV) ever built. With industry-leading suspension travel, 13 inches of ground clearance, a full-perimeter frame and the largest displacement engine in its class, the Wildcat is a full-production version of what was previously reserved for off-road race vehicles. 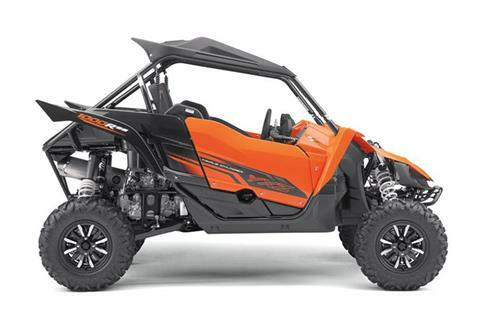 The Wildcat can effortlessly hammer through whoops and dunes thanks to a front and rear suspension combination that rivals those used on off-road race buggies. At the rear is an industry-first 5-pointmulti-link trailing arm suspension that keeps the tires’ contact patches flat while the suspension moves through its industry-leading 18 inches of travel. The unique 5-pointmulti-linkminimizes camber and axle plunge to soak up the harshest terrain without compromising handling and steering. The double-wishbone front suspension boasts a best-in-class 17 inches of travel, with geometry that’s optimized for stability and control. Both the front and rear suspensions are dampened by Walker Evans Racing shocks. Designed from a lifetime of off-road competition and experience and also made in the USA, these remote reservoir shocks are machined from billet aluminum and feature 17-position compression dampening adjustability, dual-rate springs and preload adjustment. They’re calibrated with ample ride-in to keep the Wildcat’s tires on the ground, with consistent dampening for hours of hard riding. 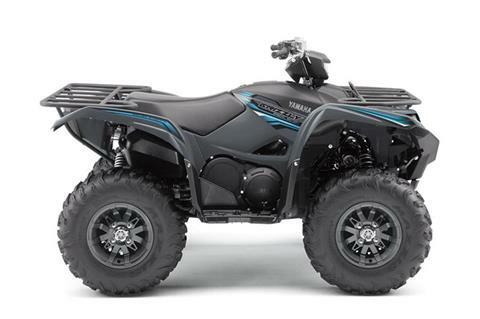 The all-new Duro Kaden 14-in tires were developed specifically for the Wildcat, utilizing an elongated tread pattern designed to extend to the tires shoulder, providing excellent cornering, traction, performance and durability in rough conditions. The foundation for the Wildcat’s suspension is a full-perimeter frame that sets a new standard in strength, rigidity and durability. Usually found only in off-road race trucks, the chassis is constructed from High Strength Low Alloy (HSLA) steel with a full-perimeter exoskeleton design that’s a first in the ROV class. With a 40/60 front/rear weight distribution, the Wildcat’s front end remains light for optimal handling when tackling gnarly terrain. Occupants in the cockpit of the Wildcat are positioned close to the low center-of-gravity (CG), leaving them less affected by movements of the suspension and chassis and producing a more comfortable and confident ride. The 1000 H.O engine that powers the new Wildcat is the largest displacement engine in the Pure Sport category, and the ideal match for the industry-leading suspensions and chassis combo. Built in the USA by Arctic Cat, the 951cc V-Twin, SOHC 4-stroke with Electronic Fuel Injection (EFI) has proven itself on the Prowler XTZ. On the Wildcat, the 1000 H.O. has been tuned to deliver even stronger acceleration thanks to the extra torque and horsepower provided by heavy breathing 50mmthrottle bodies, a new 2-into-1 ceramic-coated exhaust and an all-new air intake system. The close-coupled, mid-chassis engine location neutralizes the Wildcat’s handling, maximizes the rider/passenger volume and reduces cockpit noise. The engine transfers power to the driveshaft via the Duramatic automatic CVT transmission. The addition of the Spike Load Dampener (SLD) allows the driveline to slip for a millisecond under harsh spike loads, reducing the torque load to the system for optimal durability. A console-mounted shifter allows quicker gear selection between Reverse, Neutral, High and Low gears. Likewise, a dash-mounted switch activates 2- or 4-wheel drive with differential lock. Four-wheel hydraulic disc brakes provide strong, enhanced braking. Yet another first-in-class technology, the addition of Arctic Cat’s Variable Assist Electronic Power Steering (EPS) on the Wildcat delivers even greater steering control and ease. The EPS system is a managed electronic control unit (ECU) that measures steering input force, tire resistance and vehicle speed, and then provides the appropriate assist to the steering column through an electric motor. Steering assistance begins at idle, and varies based on the above inputs. The result: Light steering input effort at speed while maintaining the right amount of driver feedback to feel the limits of traction and control. The power assist is particularly noticeable at low speeds and when in 4WD (especially with the differential locked),where its reduced steering effort eases changing direction or navigating tough obstacles like washouts, rocks or mud. 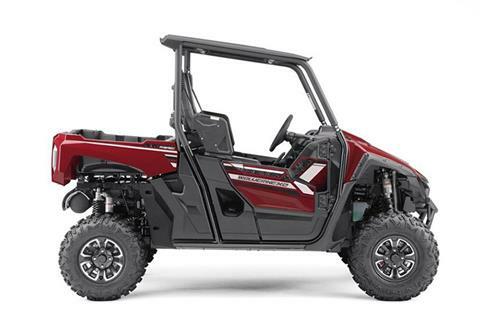 Arctic Cat engineers designed the Wildcat’s interior for optimal occupant comfort, control and visibility. Contoured, high-back bucket seats with upper body supports deliver exceptional comfort and body stability, and rival any aftermarket suspension seat on the market. The cut and sewn design cradles the Wildcat occupants to minimize fatigue. A 3-point seat belt with an anti-cinch design keeps you in place and comfortable through the harshest terrain. Getting in and out of the Wildcat is quick and easy thanks to a tube-frame door with integrated nets. Pivoting from the rear and latching at the front via a simple one-latch mechanism, the doors open quickly and easily, swinging out of the way for hassle-free entry/departure. An infinitely adjustable tilt steering wheel allows you to adjust your steering preferences. A new5-inch digital/analog round gauge provides great readability with its mid-dash location. It displays up to 14 critical operations including: clock/hour meter, fuel level, mode button, set/reset button, odometer/trip, gear position, speedometer/tachometer, differential lock, drive select, high beam, battery condition, temperature and oil pressure. A locking glove box offers ample, convenient storage, while two easy-to- reach cup holders are located where beverages won’t interfere with driving controls or arms. The all-new Wildcat is rich with premium features starting with two automotive-style painted color choices: Black Metallic or Arctic Green Metallic. Class-leading LED headlights and taillights project a light that’s clearer than an HID, with two times brighter Lumens than a halogen system (while utilizing 50 percent less wattage). 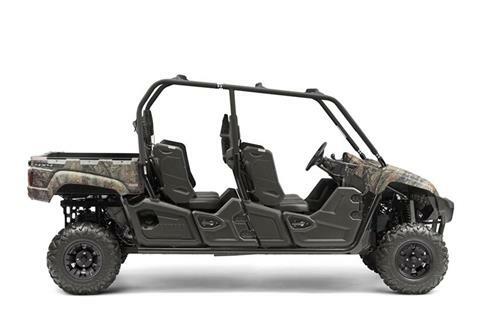 The Wildcat’s rear cargo bed has the largest capacity in its class with a 300 lb. payload to carry a cooler and additional fuel containers. A 12V accessory outlet is located in the center console for GPS or cell phone adapters. The alternator capacity has been increased for accessory lights, radios or winches. The underside of the Wildcat features full-protection HDPE skid plates to glide over protruding obstacles, while the chassis utilizes maintenance-free bushings for hassle-free durability. Arctic Cat will offer more than 50 Wildcat-specific products for the ultimate in customization. These easy-to-install parts, accessories and upgrades can be used to personalize and compliment the lines of the ultimate pure sport ROV. An array of trick lightweight aluminum protective accessories will be available, like front and rear pre-runner bumpers, rock sliders, A-arm guards and skid plates. A contoured half windshield with a dust management system will divert the wind up and over the rider while the stylized T-top style roof with integrated rear spoiler and built in headliner has room to install your tunes. Look for other items like a gas can holder, spare tire carrier, cooler holder, fender flares and a box cover to arrive shortly among a host of other products. Regular Price $1099.99 - 6 only at $699.99 each! Octane Addiction Apparel Now in Stock!